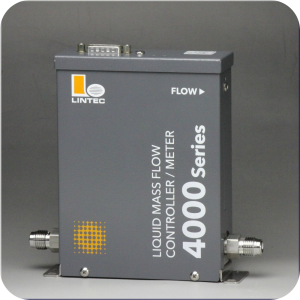 It can control the liquid flow rate of 0.2 ～ 140g/min with an accuracy ±1.0%F.S. When the liquid passes through the vibrating tube, the forces which resists the tube occur. This called “Coriolis force". The forces are strictly proportional to the actual mass flow rate.